Address labels may be printed from the Frazer program. Go to Customers >> 2 -Letters and Labels >> . Select Label. Select the type of label to print. 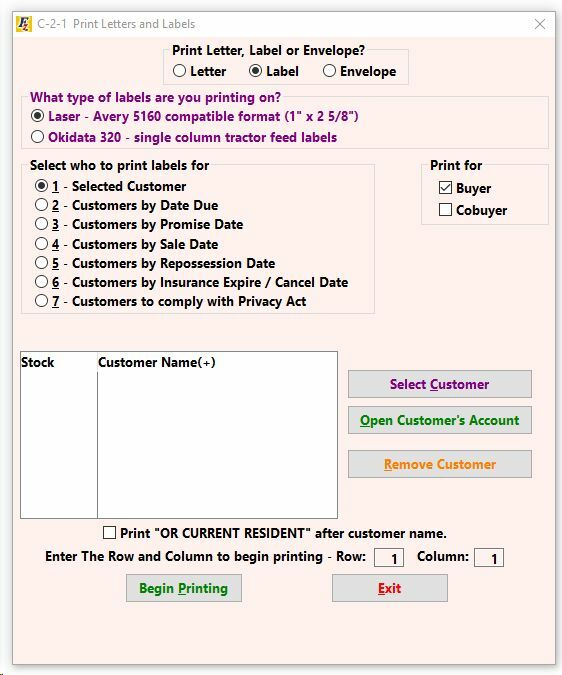 Frazer is compatible with a standard Avery label or standard Okidata tractor feed labels. Once selected, choose which customer(s) for whom to print.